In my previous blog post I have share and showed you all my Paper Eyelashes, Unique False Eyelashes. So what do you think? Like it? 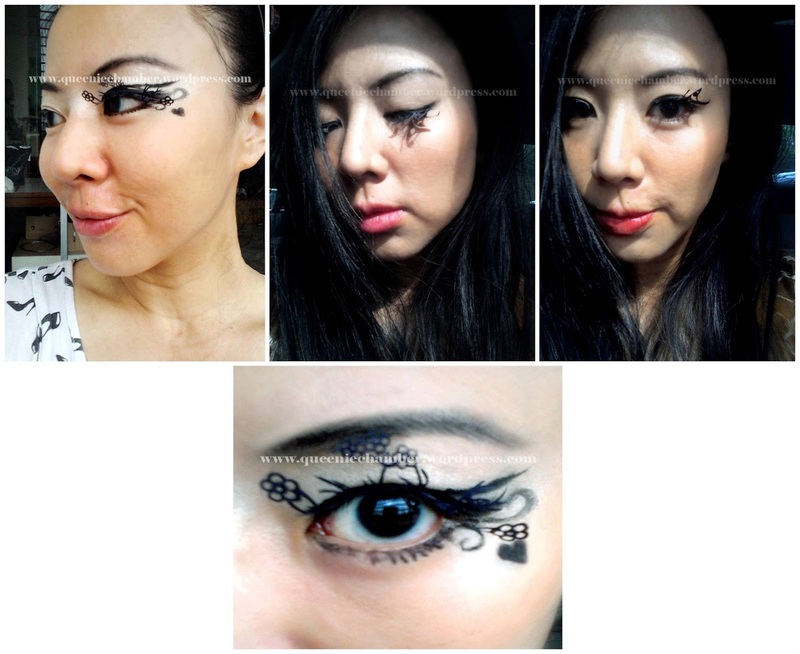 Now I am going to elaborate more and share with you my reviews and also some bloggers feedback about these Paper Eyelashes. Surely enhanced my eyes. It makes my eyes look more dramatic and expressive. All of them are so unique, I just want to keep it as my collection so sayang to wear them. However, I will wear it on special functions and occasions. 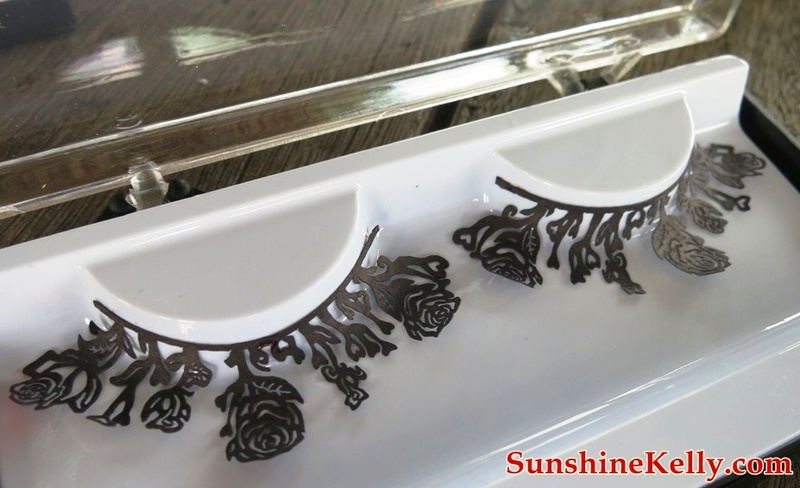 I come to know about this Paper Eyelashes or so called as Paper Falsies sometime ago on the internet and it was also on Taiwan beauty & makeup tutorial. Yup, the Paper Eyelashes are different from the False Eyelashes that we see everyday. Not only the texture and material is different. But the designs are unique. 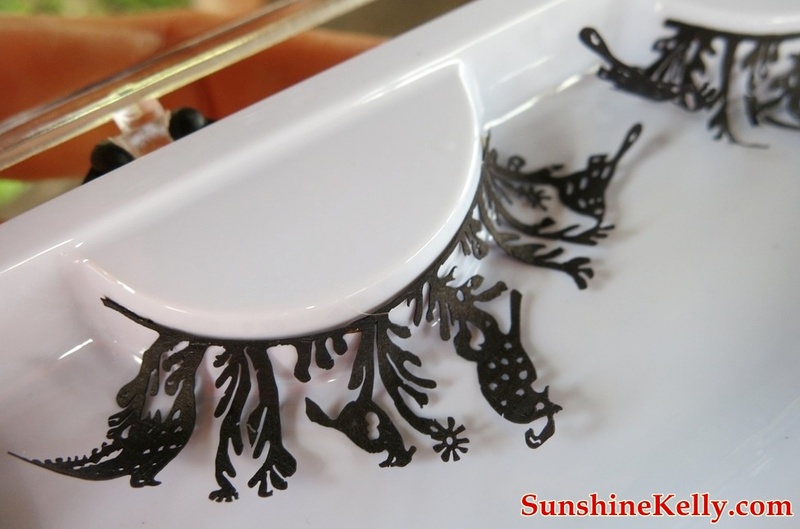 These Paper Eyelashes is best for functions and party, if you choose a more dramatic one the design and art are attention grabber and unique. Well, all of them are unique with different designs. Some are small and simple but some are really dramatic. 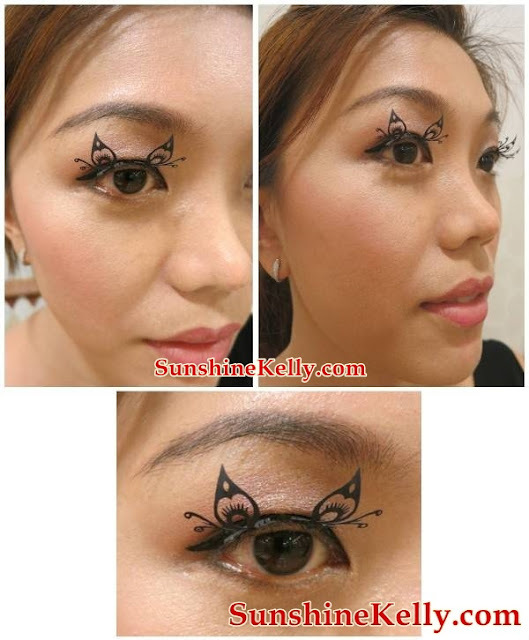 For this Paper Eyelashes I would suggest you go for the dramatic one. If you going to do a Chinese dinner or photo shoot try the birds and cherry blossom. If you are the shy type then maybe the butterfly is really cute. 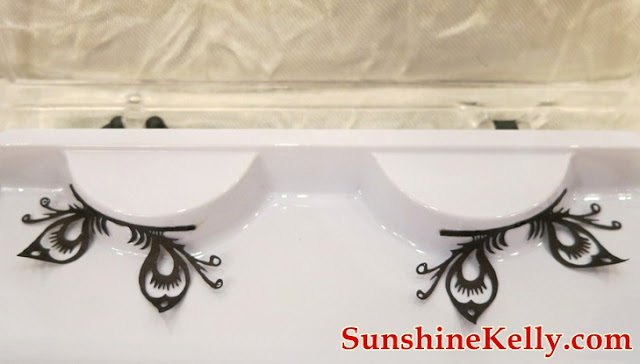 There are many ways you can wear this paper eyelashes, either you wear them full or you can cut into smaller piece and stick it just at the outer or inner corner of your eyes. 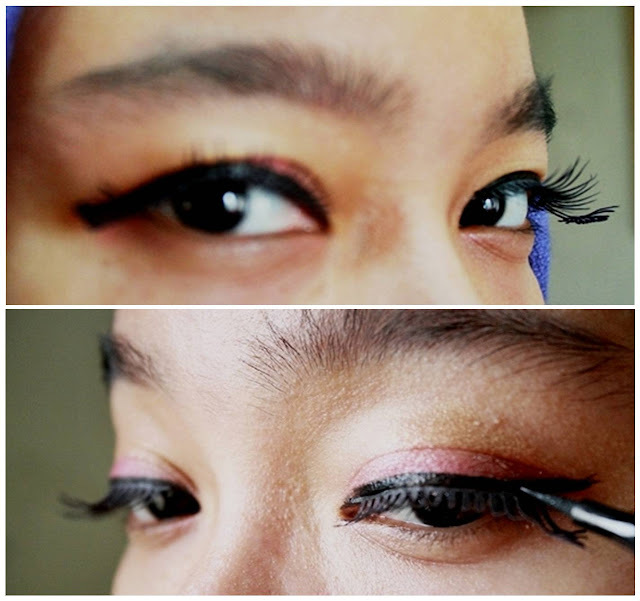 Another way is that you can try to stick it at the outer corner of your lower eyelids. That I have not try that yet. All depends on your creativity. It is actually very simple to wear this Paper Eyelashes. The texture is slightly stronger than the Hair or Fur Eyelashes because its paper. If you are a first timer you might feel a little discomfort. You have to slowly and be extra careful when peel off the Paper Eyelashes from the casing, if your pull too hard the paper might tear. So be gentle ya. 2. 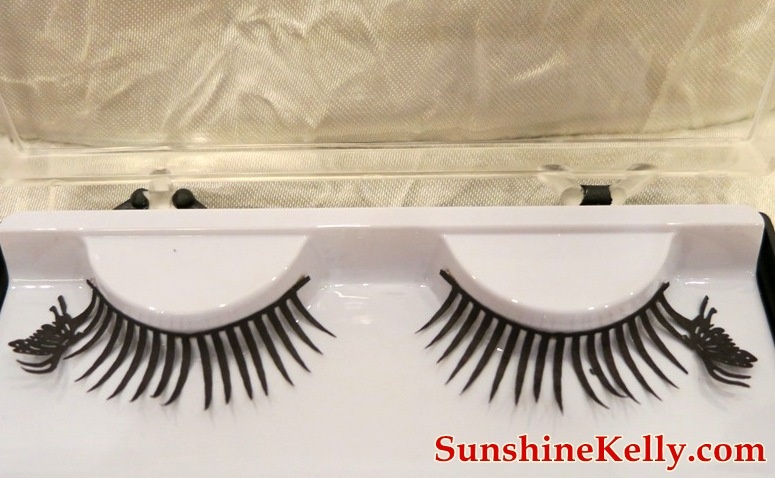 Decide the eyelashes length and how you want to wear them. 2. Squeeze a thin line of lash glue onto the back of your hand. 3. 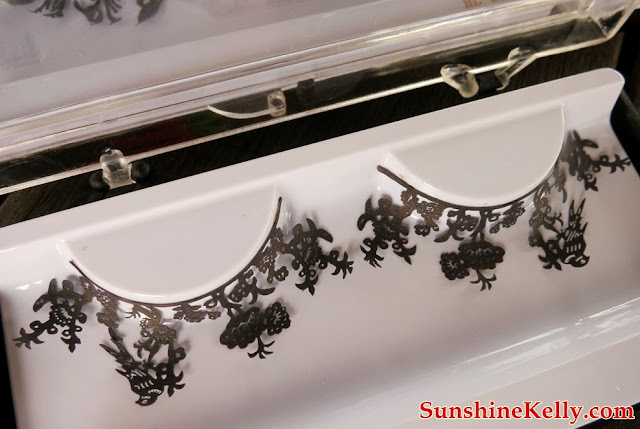 Gently run the outer seam of the eyelash strip on the glue. 4. Allow the glue to dry for a little while before applying it to your lashes. 5. Place the Paper Eyelash on your eyelid, positioning it as close as possible to your natural lashes. Let the glue dry by itself. 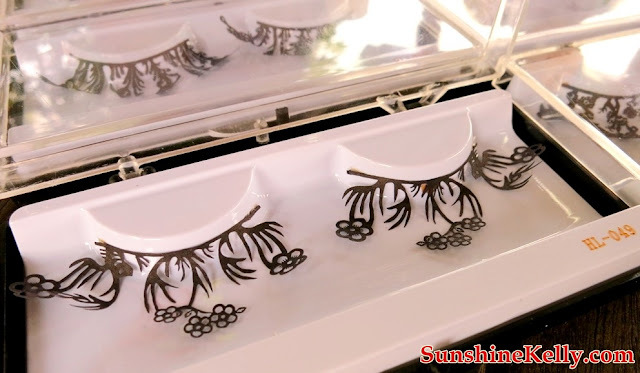 The prices of the Paper Eyelashes is RM40 per pair for all designs. There are many more designs. You might spoilt by choice. They are pretty for performances or parties and event. Sure to be getting a lot of attention. Don't think we are ready for this on normal occasions. Yes! best for parties, performances or shooting purposes.